Hi Guys! How are you all? I hope you’re doing good. 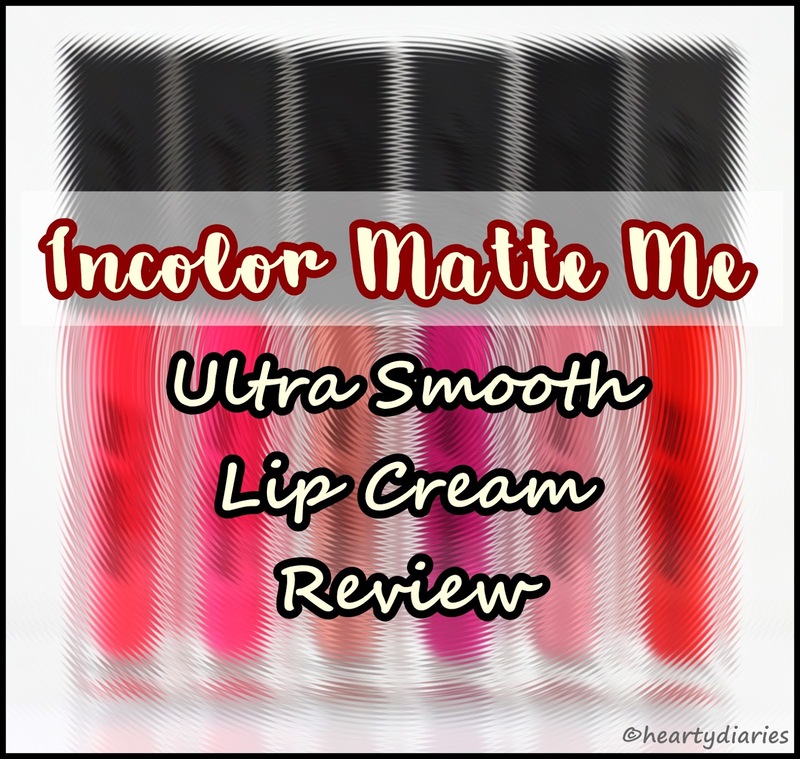 Today I am going to share my review about Incolor Matte Me Ultra Smooth Lip Cream, shade 403 with you all. Incolor lip creams are actually a dupe of Sleek Matte Me Lip Creams and you can hardly tell the difference at first sight. Incolor lip creams have 19 shades in their range which is so good and versatile to choose from, numbering as 401, 402, 403, …. , 419! You can check the entire range of Incolor lip creams here..
Before moving on into the review, let me share my thoughts on lip creams. Lip creams are generally the liquid lipsticks with more creamy formulation to glide on in one smooth application with no need for a second coat. They have a light texture and are very comfortable to wear. Some of you would have already tried Incolor lip creams and some of you would have been thinking of trying them, so without blabbering much, let me just dive into the review to share my experience and thoughts to help you decide whether you want to spend your money on these or not. Product Description, Claims, Ingredients: I feel really upset by the fact that no information about these lip creams have been published on the internet or on the lip cream by the brand. Cost: Generally available round Rs. 200-Rs. 350 for 6 ml or 0.21 fl. oz. I bought this for just Rs. 190 from a local store..
Packaging: This lip cream doesn’t come in a cardboard box or a carton packaging, instead it is cling wrapped and sealed. 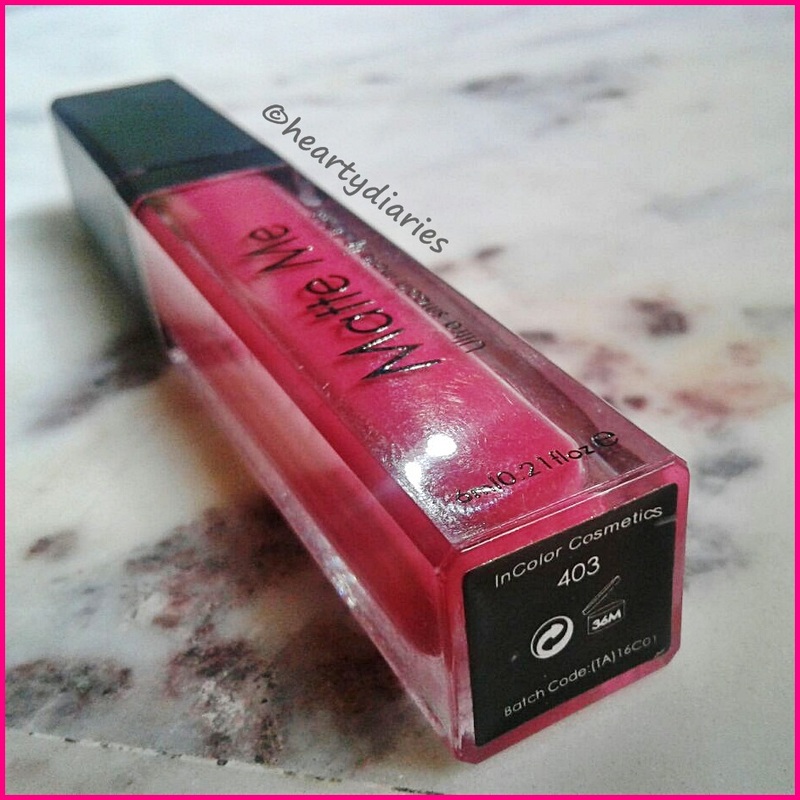 It comes in a plastic, transparent, cuboidal tube which shows the exact color of the lipstick and has a plastic, matte-black, screw top lid. The packaging is classy, light weight, spill-proof, travel friendly and chic. The applicator wand is long, soft and thin at top which allows to draw precise outline on the lips. 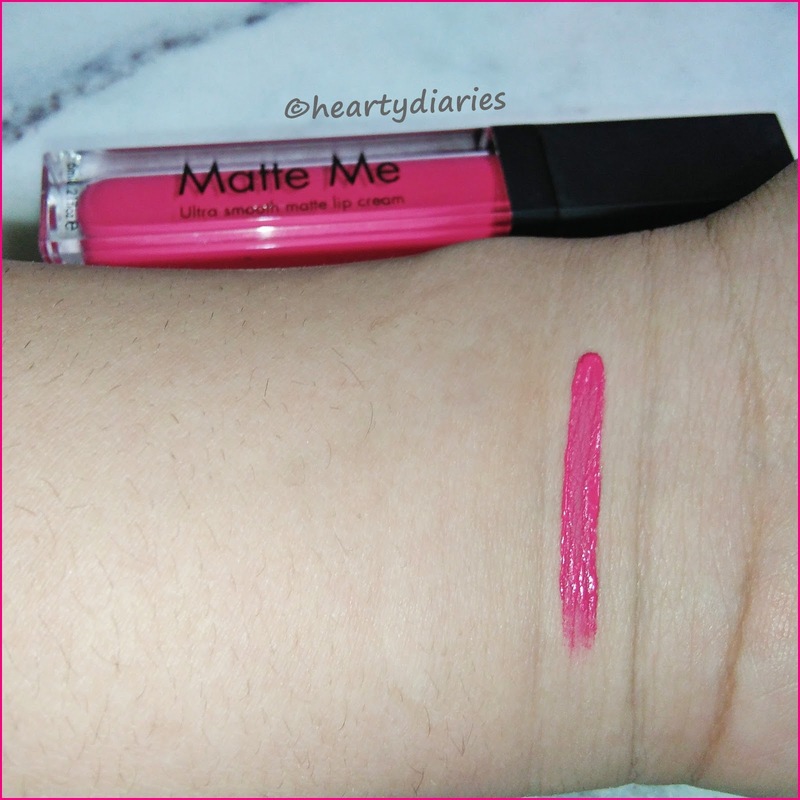 Texture and Consistency: The texture of this product is just same as liquid lipsticks, not very buttery or creamy unlike lip creams while the consistency is good enough for a smooth application. 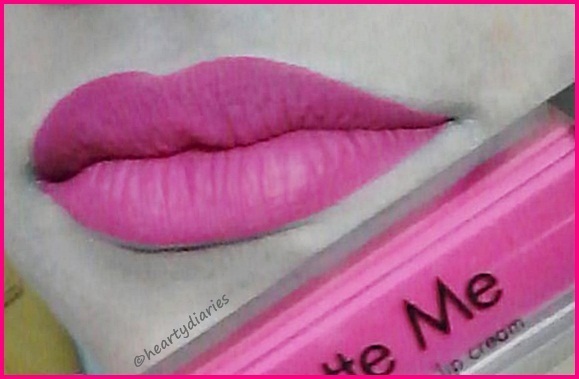 Pigmentation: This lip cream is highly and gorgeously pigmented and the color pays off in a single swipe. My thoughts on Shade 403: Even though all colors available in this range are warm toned and suitable for Indian skin tone, shade 403 was literally love at first sight for me. It is a beautiful pink shade that is neither too light nor too dark. My Experience: All the colors available in these lip creams range are so beautiful that it is literally a hard choice to choose between them. After much thinking, I finally bought shade 403 which is a gorgeous pink and also because I have a lot of Reds in my vanity. 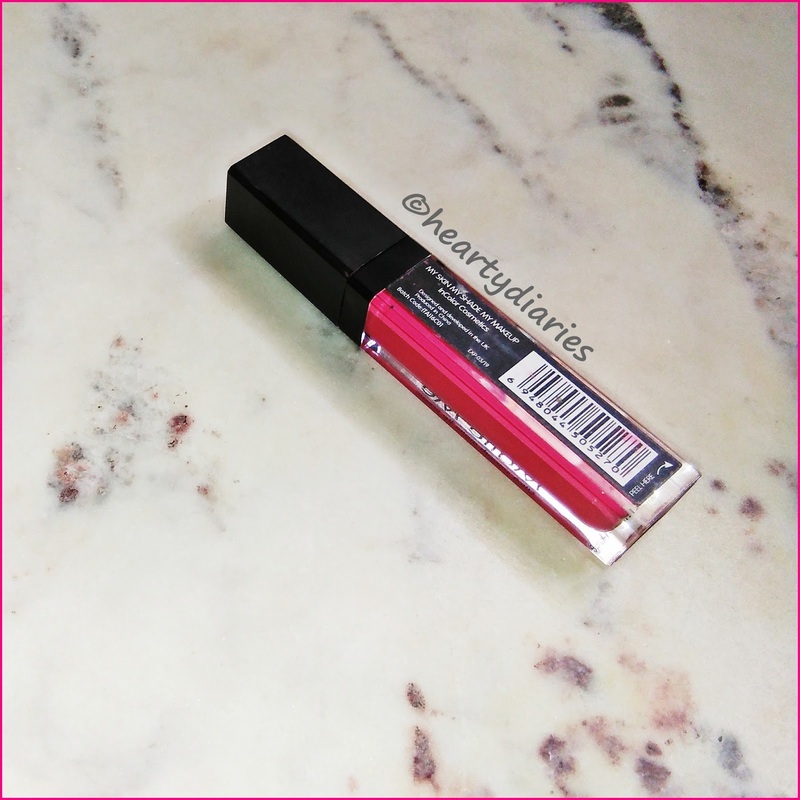 Even though the texture of this lip cream is not as creamy as I think it should be, it glides on to the lips easily and dries quickly giving a highly matte finish. The quick drying factor needs you to apply the lipstick really fast otherwise it’ll go on crumbly and patchy. 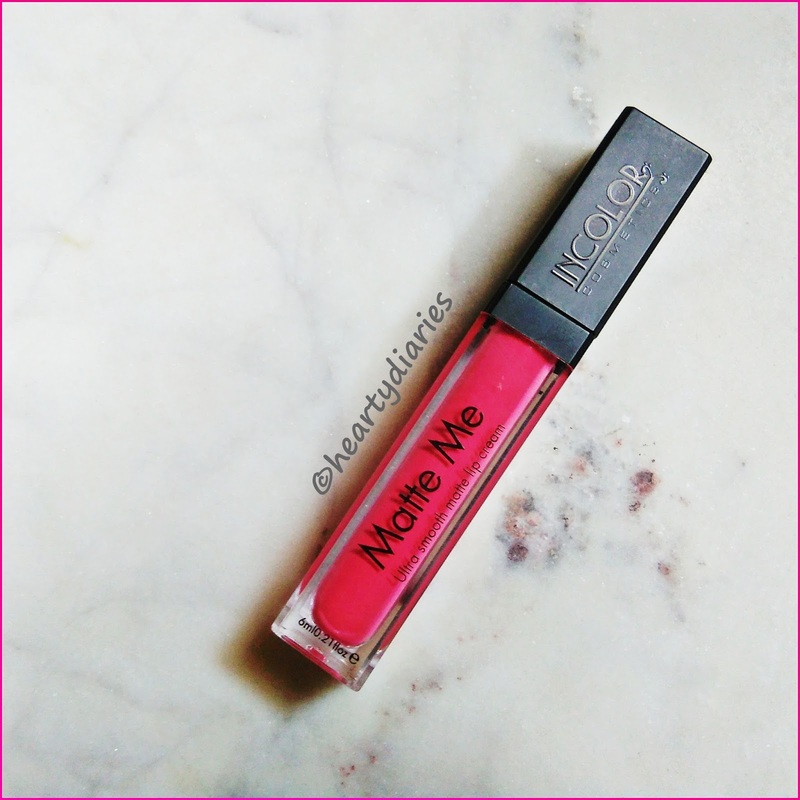 I love the fact that this lip cream is long-lasting and is highly pigmented. The first time I applied it was when I had to attend a buffet and it matched my dress beautifully. I always carry my compact and lipstick with me to events and parties just like everyone out there for touch ups. While in the party, I was happy inside that this lipstick doesn’t need any touch up, the pigmentation is still the same after two and a half hours, blah blah blah but I had an embarrassing time when my sister pointed out while having dinner that my lipstick was wearing off. I know the fact that liquid lipsticks require complete removal for a touch up otherwise they can look patchy and flaky, so I instantly reapplied it and was sorted. Overall it was a good experience except the wearing-off fact. I also found that its overdrying after removing it up at the end of the day. I have tried it many times after that party, making sure I apply a lipbalm underneath but most of all, I try to skip it during buffets and places where I need to eat oily food and Indian buffets, you know! The maximum time it has stayed on my lips without eating or drinking has been four and a half hours and after that, it starts fading from the centre of the lips. Thus, it is not ideal for attending dinner parties or places where you’re supposed to eat because then it starts fading from the centre and looks really messy. It lasts only till the time you eat or drink anything. Like all other liquid lipsticks, you need to remove it fully for a touch up otherwise it goes on patchy. This is not really a lip cream according to me as the formulation is not creamy and buttery as meant to be. Yes. I don’t mind its cons as I am so in love with its color and overall feel. I can manage all the issues ultimately and would to repurchase more and more shades. Yes. 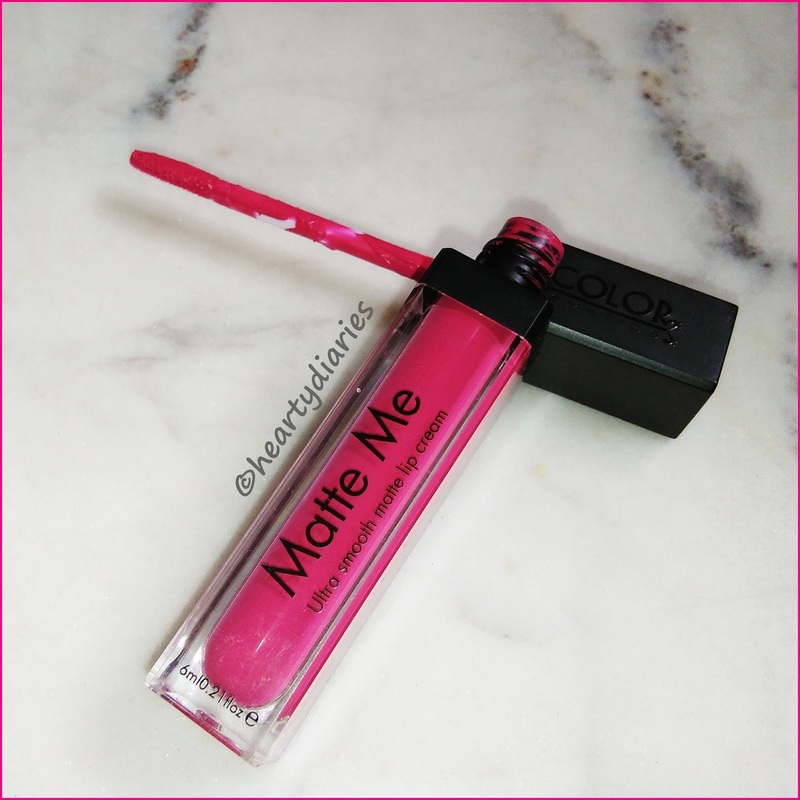 This lipstick is just so affordable and good that I recommend you to give it a try once. Make sure to follow my advice and you’ll have a good experience with it hopefully. Yes. Such beautiful shades, comfortable to wear, amazing pigmentation, long staying power, chic and classy packaging.. I cannot ask for more in just Rs. 200. Final Verdict: I don’t mind wearing such comfortable matte lipsticks again and again even though they get removed while eating. You can rock them in pictures and in small meetings. I love the pigmentation, the staying power and the overall finish. All the colors are beautiful and worth picking up. My Advice: Make sure to prep your lips by exfoliating them and moisturizing them before applying this lip cream as it is highly matte and feels overdrying without a moisturiser or balm underneath. If you are wearing it in a bigger occasion, make sure to touch up in four hours by completely removing it. I love the colors. ? Amazing review! Beautiful color. I've seen items like this on the wish app.